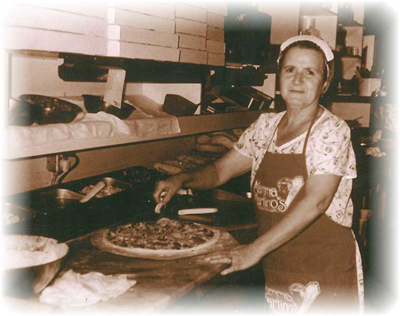 Mamma Martino’s Restaurant has been a fixture at its present location on The Queensway for over 25 years. Bruno Martino with his Mamma and Pappa opened the doors in 1983 and began welcoming Toronto area residents and visitors alike to authentic Italian dining at affordable prices. Whether you’re into creating your own pizza masterpiece, enjoying one of our traditionally prepared pasta dishes or classic Italian sandwiches, you will not be disappointed. Don’t just take our word for it, read what some people have written about us. Browse through our menu and you’ll find the majority of our entrees are under $10. Over the years "Mamma’s" has made great friends. Browse the photo gallery capturing some of our guests and don’t be surprised if you spot a few familiar faces. Ciao...from all of us at Mamma Martino’s and we hope to see you soon!